George Clooney (Gravity, The Descendants, The Ides of March, Up in the Air, Good Night and Good Luck, Syriana, ER)—an Academy award-nominated actor, producer and screenwriter—is one of Enough’s closest allies through the organizations he has launched with John Prendergast. He is a founding board member of Not On Our Watch, and he also co-founded the Satellite Sentinel Project with Prendergast. Most recently, Clooney founded with Prendergast The Sentry, a new investigative initiative focused on dismantling the networks financing conflict and atrocities. In September 2016, Clooney joined Don Cheadle and Prendergast to present The Sentry first major investigative report at a press conference at the National Press Club in Washington DC. Afterwards Clooney, Cheadle and Prendergast met with President Obama, Vice President Biden, Secretary of State Kerry, Secretary of the Treasury Lew, and National Security Adviser Rice to advance Enough’s and The Sentry’s agenda. Clooney narrated the HBO documentary on Darfur, Sand and Sorrow. During the last decade, Clooney and Prendergast have traveled to Sudan and South Sudan on numerous occasions, which they followed up by meetings with administration officials, members of Congress, and the press. Together they have appeared on or written for NBC Nightly News, The Today Show, Good Morning America, The CBS Early Show, CNN’s Larry King Live, a one-hour NBC Dateline special, the New York Times, the Los Angeles Times, CNN’s “Fareed Zakaria GPS”, MSNBC’s “Morning Joe,” and “The Daily Show” with Jon Stewart. Clooney and Prendergast wrote op-eds in the New York Times, Washington Post, The Economist, Guardian, Wall Street Journal, USA Today, Daily Beast, CNN.com, and TIME. In March 2012, Clooney and Prendergast crossed the border illegally and went into the Nuba Mountains, where Clooney produced a video chronicling atrocities being committed there. 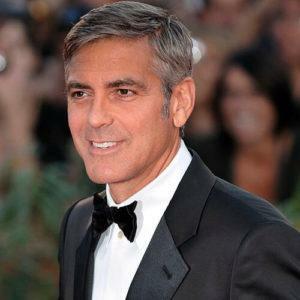 Upon returning to DC, Clooney, Prendergast, and members of Congress were arrested protesting outside the Sudan embassy. Clooney further supported the work of Enough and The Sentry by hosting two Omaze fundraising contests, the first in 2014 and a second in 2015.